Pittsburgh’s Urban Forest Master Plan is a road map that provides detailed information, recommendations, and resources needed to effectively and proactively manage and grow our city’s tree canopy. 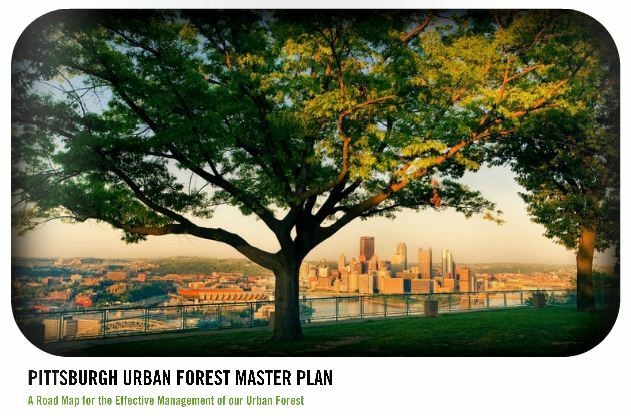 The Urban Forest Master Plan provides a shared vision for the future of Pittsburgh’s urban forest to inspire and engage stakeholders in the care and protection of trees. With three real life examples, this article explains how green infrastructure elements can bring about benefits to communities including: increasing water supplies, reducing flooding, providing climate adaptability, and improving water quality. 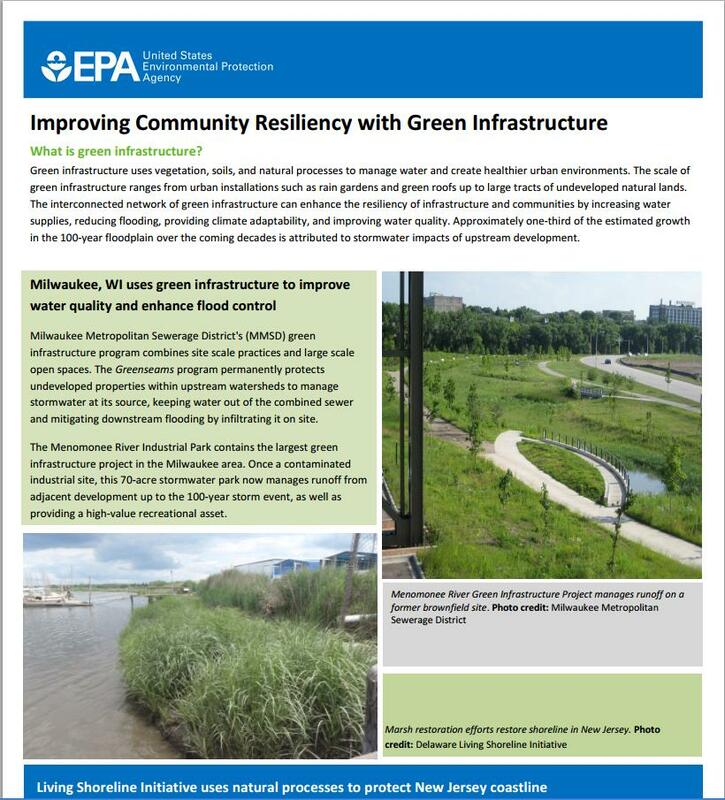 The article continues to explain how the cities of Milwaukee, WI, Nashville, TN, and Pine County, AZ have all utilized green infrastructure and benefited from the approach. This March 2014 report was created to help municipalities develop and evaluate alternative solutions to their Combined Sewer Overflow problems. 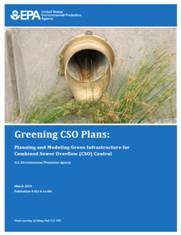 The report provides tools for municipal and sewer authority leaders to quantify the difference green infrastructure can make when addressing a CSO problem. This December 2013 report from the National Resources Defense Council (NRDC) explains how green infrastructure elements can improve the bottom line of commercial real estate sector. Such elements have been used in urban settings but less data exists about the value of its use for commercial property owners. This May 2006 report from the Natural Resources Defense Council (NRDC) is a policy guide for decision makers looking to implement green strategies in their own areas, including nine case studies of cities that have successfully used green techniques to create a healthier urban environment. This November 2011 update of the original NRDC report further explores how cities are incorporating green infrastructure solutions to manage stormwater runoff by providing 14 case studies from geographically-diverse cities across North America. It also outlines six key actions that cities should take to maximize their green infrastructure investments while also benefiting human, environmental, and economic health. Released in April 2012 by American Rivers, the American Society of Landscape Architects (ASLA), the Water Environment Federation (WEF), and ECONorthwest, this document is a response to the need to further quantify the economic benefits of green infrastructure. Released in September 2011 by the NRDC, this document discusses the ways in which green infrastructure can help mitigate the negative effects that stormwater runoff from roads and highways can have on our health, finances, and environment. Prior to launching a comprehensive green infrastructure plan, Philadelphia commissioned a triple-bottom line analysis to look at the environmental, social, and economic implications of their plan. The study compared the green infrastructure measures to a traditional 30-feet wide tunnel option, and found that green infrastructure can save Philadelphia money and also offer other benefits including improved air quality and reduced energy usage. This report, produced by the EPA Office of Wetlands, Oceans, and Watersheds, presents common trends in the ways that 12 local governments developed and implemented stormwater policies to support green infrastructure. It also includes success stories as well as insight into the barriers and failures experienced by the communities as they tried to create a stormwater management system that incorporated green infrastructure approaches. This report, produced by Regional Plan Association, summarizes common green infrastructure practices and presents nine successful ways by which planners and policy makers across the US are integrating green infrastructure with land use and site planning decisions. Included are ways to secure space for green infrastructure, find the funding to pay for construction and management, and rethink management responsibilities. This report by the Pacific Institute identifies 136 different kinds of jobs involved in implementing sustainable water strategies, from plumbers to landscapers, engineers to irrigation specialists. Of these occupations, numerous are accessible to workers without advanced degrees. Thirty-seven of these job types are also projected to have high growth in the overall economy, with each projected to have more than 100,000 job openings across industries by 2020.